Slave rebellions were frequent until the practice of slavery was abolished in 1888. The most famous of the revolts was led by Zumbi dos Palmares. The state he established, named the Quilombo dos Palmares, was a self-sustaining republic of Maroons escaped from the Portuguese settlements in Brazil, and was "a region perhaps the size of Portugal in the hinterland of Pernambuco". At its height, Palmares had a population of over 30,000. ^ Miguel Angel Centeno, Blood and Debt: War and the Nation-State in Latin America, University Park, Pennsylvania: Pennsylvania State University Press, 1957. Page 55. ^ a b Scheina, 319. With an estimated 400,000 deaths, the war was the deadliest and bloodiest in Latin Americas history. According to some estimates, Paraguays pre-war population of 525,000 was reduced to 221,000, the war began in late 1864, as a result of a conflict between Paraguay and Brazil caused by the Uruguayan War. Argentina and Uruguay entered the war against Paraguay in 1865, the war ended with the total defeat of Paraguay. The guerrilla war lasted 14 months until President Francisco Solano López was killed in action by Brazilian forces in the Battle of Cerro Corá on March 1,1870, Argentine and Brazilian troops occupied Paraguay until 1876. Estimates of total Paraguayan losses range from 21,000 to 200,000 people and it took decades for Paraguay to recover from the chaos and demographic losses. There are several theories regarding the origins of the war, before the war Paraguay had experienced rapid economic and military growth. A strong military was developed because Paraguays larger neighbors Argentina and Brazil had territorial claims against it, Paraguay had recurring boundary disputes and tariff issues with Argentina and Brazil for many years during the rule of Carlos Antonio López. Since Brazil and Argentina had become independent, their struggle for hegemony in the Río de la Plata profoundly marked the diplomatic, Brazil was the first country to recognize the independence of Paraguay in 1844. At this time Argentina still considered it a break-away province, as no roads linked the inland province of Mato Grosso to Rio de Janeiro, Brazilian ships needed to travel through Paraguayan territory, going up the Paraguay River to arrive at Cuiabá. 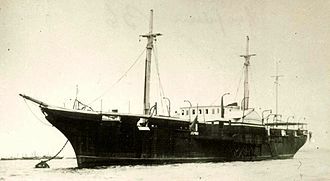 However, Brazil had difficulty obtaining permission from the government in Asunción to freely use the Paraguay River for its shipping needs and this last intervention would lead to the Paraguayan War. Flores wanted to overthrow the Blanco Party government of President Bernardo Berro, Paraguayan President López sent a note on 6 September 1863 to the Argentine government asking for an explanation, but Buenos Aires denied any involvement in Uruguay. From that moment, mandatory service was introduced in Paraguay and in February 1864. Uruguayan President Atanasio Aguirre from the Blanco Party rejected the Brazilian demands, presented his own demands, Brazilian soldiers on the northern borders of Uruguay started to provide help to Flores troops, harassed Uruguayan officers, while the Imperial Fleet pressed hard on Montevideo. Jean-Baptiste Debret was a French painter, who produced many valuable lithographs depicting the people of Brazil. 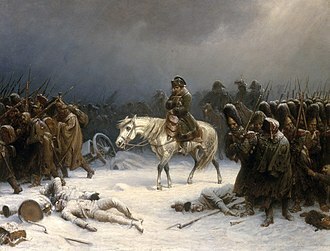 Debret studied at the French Academy of Fine Arts, a pupil of the great Jacques-Louis David to whom he was related and he accompanied David to Rome in the 1780s. His debut was at the Salon des Beaux Arts of 1798, joão VI and the Conde da Barca, which became the Academia Imperial de Belas Artes under Emperor Dom Pedro I. He established his atelier at the Imperial Academy in December 1822, in 1829 Debret organized the first arts exhibition ever to take place in Brazil, in which he presented many of his works as well as of his disciples. He corresponded frequently with his brother in Paris and he took a particular interest in slavery of blacks and in the indigenous peoples in Brazil. Together with the German painter Johann Moritz Rugendas, his work is one of the most important graphic documentation of life in Brazil during the decades of the 19th century. Debret returned to France in 1831 and became a member of the Academie des Beaux Arts, from 1834 to 1839 he published his monumental series of three volumes of engravings, titled Voyage Pittoresque et Historique au Brésil, ou Séjour dun Artiste Français au Brésil. Capoeira is a Brazilian martial art that combines elements of dance and music. It was developed in Brazil mainly by Angolans, at the beginning of the 16th century and it is known for its quick and complex maneuvers, predominantly using power and leverage across a wide variety of kicks and techniques. The most widely accepted origin of the word comes from the Tupi words kaa e pûer. A practitioner of the art is called a capoeirista, on 26th November 2014 capoeira was granted a special protected status as intangible cultural heritage by UNESCO. Capoeiras history begins with the beginning of African slavery in Brazil, since the 16th century, Portuguese colonists began exporting slaves to their colonies, coming mainly from Angola. Brazil, with its vast territory, received most of the slaves, but oral tradition and evidence leaves little doubt about its Afro-Brazilian roots. In the 16th century, Portugal had claimed one of the largest territories of the colonial empires, in the Brazilian colony, the Portuguese, like many European colonists, chose to use slavery to build their economy. 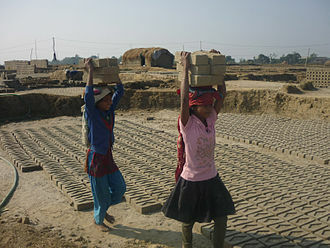 In its first century, the economic activity in the colony was the production. 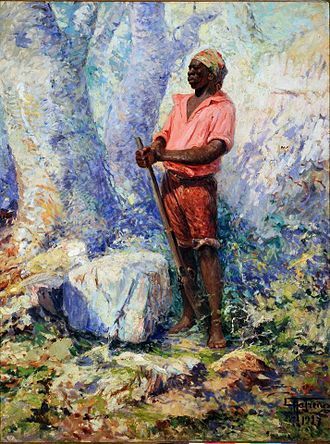 Portuguese colonists created large sugarcane farms called engenhos, which depended on the labor of slaves, living in inhumane conditions, were forced to work hard and often suffered physical punishment for small misbehaviors. 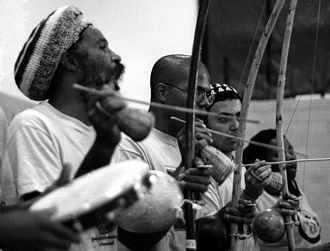 In this environment, capoeira was born as a method of survival. Soon several groups of escaping slaves would gather and establish quilombos, primitive settlements in far, some quilombos would soon increase in size, attracting more fugitive slaves, Brazilian natives and even Europeans escaping the law or Christian extremism. Some quilombos would grow to a size, becoming a real independent multi-ethnic state. 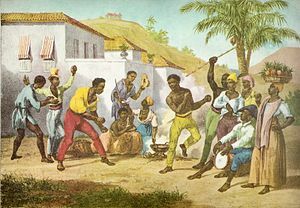 Everyday life in a quilombo offered freedom and the opportunity to revive traditional cultures away from colonial oppression, in this kind of multi-ethnic community, constantly threatened by Portuguese colonial troops, capoeira evolved from a survival tool to a martial art focused on war. The biggest quilombo, the Quilombo dos Palmares, consisted of villages which lasted more than a century. The Uruguayan War was fought between Uruguays governing Blanco Party and an alliance consisting of the Empire of Brazil and the Uruguayan Colorado Party, covertly supported by Argentina. Since its independence, Uruguay had been ravaged by intermittent struggles between the Colorado and Blanco factions, each attempting to seize and maintain power in turn. The Colorado leader Venancio Flores launched the Liberating Crusade in 1863, an aimed at toppling Bernardo Berro. Flores was aided by Argentina, whose president Bartolomé Mitre provided him with supplies, Argentine volunteers, the Fusionism movement collapsed as the Colorados abandoned the coalition to join Flores ranks. The Uruguayan civil war escalated, developing into a crisis of international scope that destabilized the entire region. Even before the Colorado rebellion, the Blancos within Fusionism had sought an alliance with Paraguayan dictator Francisco Solano López, Berros now purely Blanco government received support from Argentine Federalists, who opposed Mitre and his Unitarians. The situation deteriorated as the Empire of Brazil was drawn into the conflict, almost one fifth of the Uruguayan population were considered Brazilian. Some joined Flores rebellion, spurred by discontent with Blanco government policies that they regarded as harmful to their interests, Brazil eventually decided to intervene in the Uruguayan affair to reestablish the security of its southern frontiers and its regional ascendancy. In April 1864, Brazil sent Minister Plenipotentiary José Antônio Saraiva to negotiate with Atanasio Aguirre, Saraiva made an initial attempt to settle the dispute between Blancos and Colorados. Faced with Aguirres intransigence regarding Flores demands, the Brazilian diplomat abandoned the effort, on 10 August 1864, after a Brazilian ultimatum was refused, Saraiva declared that Brazils military would begin exacting reprisals. Brazil declined to acknowledge a formal state of war, and for most of its duration, in a combined offensive against Blanco strongholds, the Brazilian–Colorado troops advanced through Uruguayan territory, taking one town after another. Eventually the Blancos were left isolated in Montevideo, the national capital, faced with certain defeat, the Blanco government capitulated on 20 February 1865. The Oriental Republic of Uruguay in South America had been, since its independence in 1828 and they were not political parties in the modern sense, but factions that engaged in internecine rebellion whenever the other dominated the government. The nation was divided into Colorado and Blanco camps. These partisan groups formed in the 1830s and arose out of patron–client relationships fostered by local caudillos in the cities, rather than a unity based upon common nationalistic sentiments, each had differing aims and loyalties informed by their respective, insular political frameworks. Uruguay had a low population density and a weak government. The civil wars between the two factions were brutal, harsh tactics produced ever-increasing alienation between the groups, and included seizure of land, confiscation of livestock and executions. 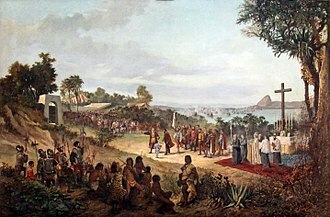 In the same context, the Portuguese Empire, hosted in Rio de Janeiro, took measures to solidify its hold on Rio Grande do Sul and to annex the region of the former Eastern Jesuit Missions. From 1814 on, the Eastern Province joined forces with the provinces of Santa Fe and Entre Rios in a confederation called the Federal League. After a series of incidents in territory claimed by the Portuguese Empire. 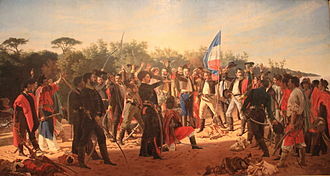 Artigas was finally defeated by the Luso-Brazilian troops in 1820 at the Battle of Tacuarembó, the Portuguese Empire formally annexed the Eastern Bank, under the name Cisplatina, with support from local elites. 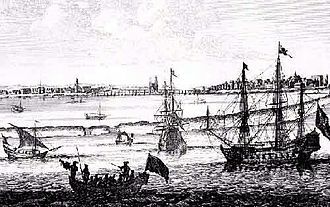 With the annexation, the Portuguese Empire now enjoyed strategic access to Río de la Plata and control of the main port. 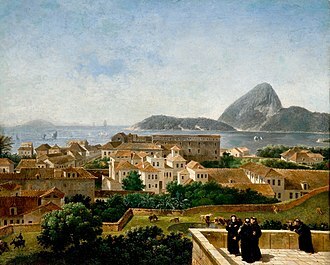 After Brazilian independence, in 1822, Cisplatina became part of the Empire of Brazil and it sent delegates to the 1823 Constitutional Convention and, under the 1824 Constitution, enjoyed a considerable degree of autonomy, more so than other provinces of the Empire. 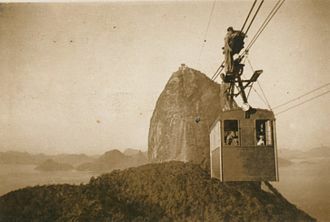 Rebels led by Fructuoso Rivera and Juan Antonio Lavalleja carried on resistance against Brazilian rule, in response, Brazil declared war on the United Provinces. Brazilian Emperor Pedro I ordered his fleet to block the River Plate, the Argentina fleet moved south, first to Ensenada and to distant Carmen de Patagones on the Atlantic Ocean. The Brazilian fleet attempted to take Carmen de Patagones in 1827 and thus tighten its blockade over Argentina, on land, the Argentine army crossed the River Plate and established its headquarters near the Uruguayan town of Durazno. General Carlos María de Alvear invaded Brazilian territory and a series of skirmishes followed, Pedro I of Brazil planned a counteroffensive by late 1826, and managed to gather a small army mainly composed of Southern Brazil voluntaries and European mercenaries. The Brazilian counteroffensive was eventually stopped at the inconclusive Battle of Ituzaingó, while Brazilian troops were prevented from marching on to Buenos Aires, Argentine troops no longer managed to operate in Brazilian territory. Ituzaingó was the battle of some magnitude in the whole war. A series of clashes ensued, including the Battle of Sarandí. Contemporary accounts describe Dutch troops at the battle as pale and sickly. The Dutch army at Guararapes were armed with pikes, cannon and it is thought by historians that the use of short blades by the Dutch was an attempt to imitate previously successful Portuguese weaponry and tactics. The Portuguese force was made up of an assortment of natives and whites who knew, and had experience fighting in and they would weaken Dutch troops with fusillades of musketfire from behind trees, and charge with mêlée weapons. The Dutch had expected the enemy to march down the established coastal roads. However, the Portuguese force used a series of trails to reach Pernambuco, appearing out of the wetlands to the west and Guararapes Hills. After several hours of fighting, the Dutch retreated northwards to Recife, following the Dutch retreat, the Portuguese army marched into Pernambuco. Henrique Dias - Son of slaves, he was the governador da gente preta, filipe Camarão - Native Brazilian from the Potiguar tribe, leader of the forces from that tribe. 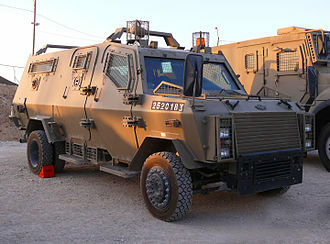 The Brazilian Army is the land arm of the Brazilian Armed Forces. The Brazilian Army has fought in several conflicts, mostly in South America during the 19th century. In the 20th century, it fought on the Allied side at World War I, most of its commanders were mercenaries and Portuguese officers loyal to Dom Pedro. During the 1850s and early 1860s, the Army along with Navy, entered in action against Argentinian and Uruguayan forces, the Brazilian success with such Gun Diplomacy, eventually lead to a shock of interests with another country with similar aspirations, the Paraguay in December,1864. On May 1,1865, Brazil and Argentina signed the Triple Alliance to defend themselves against aggression from Paraguay, which was ruled by the dictator Francisco López. 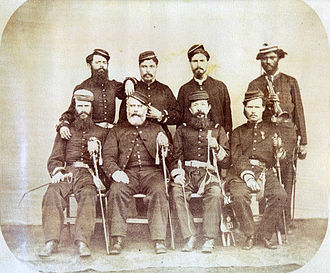 López troops, after invading Brazilian territory through the state of Mato Grosso, many slaves had been incorporated into the Brazilian forces to face the increasingly serious situation. As a result of their performance during the conflict, the Armed Forces developed a strong sense against slavery. 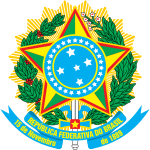 After five years of a terrible warfare, the Alliance led by Brazil defeated Lopez, in November 1889, after a long attrition with the monarchical regime deepened by the abolition of slavery, the army imposes the republic through a coup détat. 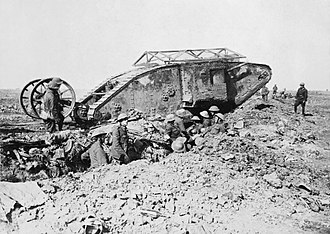 During World War I the Brazilian government sent three small groups to Europe soon after declaring war upon Central Powers in October 1917. The first two units were from the army, one consisted of staff and the other of a sergeants-officers corps. In this period, the Army defeated the Constitutionalist Revolt in 1932, the Army helped to formalize the dictatorship in 1937. 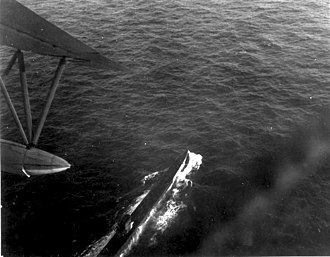 In August 1942, after German and Italian submarines sunk Brazilian merchant ships, popular mobilization forced the Brazilian government to war on Fascist Italy. 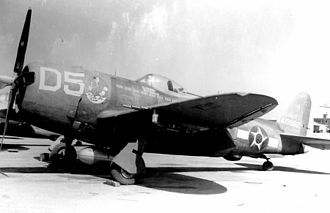 In July 1944, after almost two years of pressure and negotiations with US authorities, an expeditionary force was sent to join the Allied forces in the Italian campaign. With the defeat of right wing totalitarian regimes in World War II, Vargas is removed by the head of the army, General Dutra, who in 1946 won the Election dispute against Air Marshall, Eduardo Gomes. Unlike Christopher Columbus, who thought he had reached the East Indies, the Portuguese, most notably Vasco da Gama, had already reached India via the Indian Ocean route when they reached Brazil. At the time of European contact, some of the people were traditionally mostly semi-nomadic tribes who subsisted on hunting, gathering. The indigenous population was killed by European diseases, declining from a pre-Columbian high of millions to some 300,000. However, the number could be higher if the urban indigenous populations are counted in all the Brazilian cities today. A somewhat dated linguistic survey found 188 living indigenous languages with 155,000 total speakers, on January 18,2007, FUNAI reported that it had confirmed the presence of 67 different uncontacted tribes in Brazil, up from 40 in 2005. With this addition Brazil has now surpassed New Guinea as the country having the largest number of uncontacted people, in the last IBGE census,817,000 Brazilians classified themselves as indigenous. Questions about the settlement of the Americas has produced a number of hypothetical models. The origins of indigenous people are still a matter of dispute among archaeologists. A migrant wave would have some time after initial entry to reach present-day Brazil. An analysis of Amerindian Y-chromosome DNA indicates specific clustering of much of the South American population, according to an autosomal genetic study from 2012, Native Americans descend of at least three main migrant waves from East Asia. Most of it is traced back to an ancestral population. However, those who speak Inuit languages from the Arctic inherited almost half of their ancestry from a second East Asian migrant wave, and those who speak Na-dene, on the other hand, inherited a tenth of their ancestry from a third migrant wave. The initial settling of the Americas was followed by a rapid expansion southwards, by the coast, with gene flow later. One exception to this are the Chibcha speakers, whose ancestry comes from both North and South America, linguistic studies have backed up genetic studies, with ancient patterns having been found between the languages spoken in Siberia and those spoken in the Americas. FNSP in Rio de Janeiro - 2007. Clockwise from top left: Uruguayan artillery in the Battle of Boquerón, Brazilian soldiers kneel in a religious procession, Brazilian troops in Nova Palmira, Brazilian troops in Tayi, officers of the Argentine Army, officers of the Imperial Brazilian Army. Pedro II, Emperor of Brazil from 1831 to 1889. Bartolomé Mitre, President of Argentina from 1862 to 1868. Venancio Flores, President of Uruguay from 1865 to 1868. 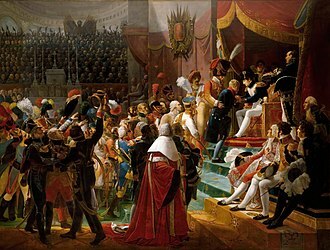 First remittance of the Légion d'Honneur, 15 July 1804, at Saint-Louis des Invalides, by Jean-Baptiste Debret, 1812. Debret, A Guaraní family captured by slave hunters. 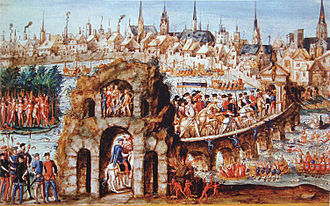 "Brazilian ball" for Henry II of France in Rouen, 1 October 1550. 300 naked men were employed to illustrate life in Brazil and a battle between the Tupinambá allies of the French, and the Tabajara Indians. "Salutations larmoyantes" ("Tearful salutations") describing the Tupinambás, in Histoire d'un voyage faict en la terre du Brésil (1578), Jean de Léry, 1580 edition. Maroons surprised by dogs (1893) (Brussels) by Louis Samain. Atlântico Sul Shipyard, the biggest shipyard in the Southern Hemisphere, located in Industrial Port Complex of Suape. Frevo was included on the UNESCO's list of intangible heritage. View of the Río de la Plata (River Plate) from Buenos Aires, 1852. 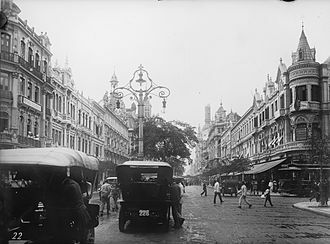 The Argentine capital was the center of Rosas' power. Justo José Urquiza, governor of Entre Rios. View of Downtown Santos from Serrat Mountain. From top, clockwise: cargo ship at the entrance of the Port of Santos canal; buildings on the edge of the city; Monument of the 100 Years of Japanese Immigration in the Roberto Mário Santini Park; Marco da Ponta da Praia and view of the Bay of Santos; Canal 3 of the city drainage system and front garden of the beach. Oath of the 33 Orientales to the Uruguayan Republic.